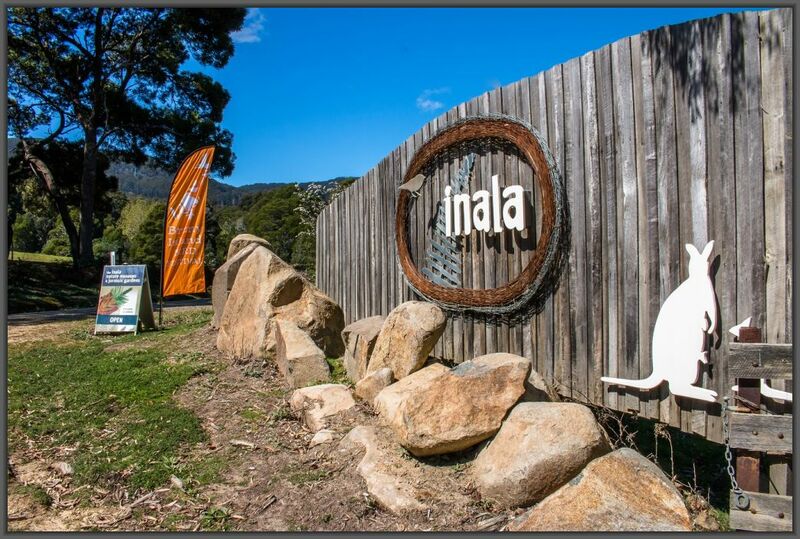 Inala Nature Tours: “Inala” property walk, Bruny Island. 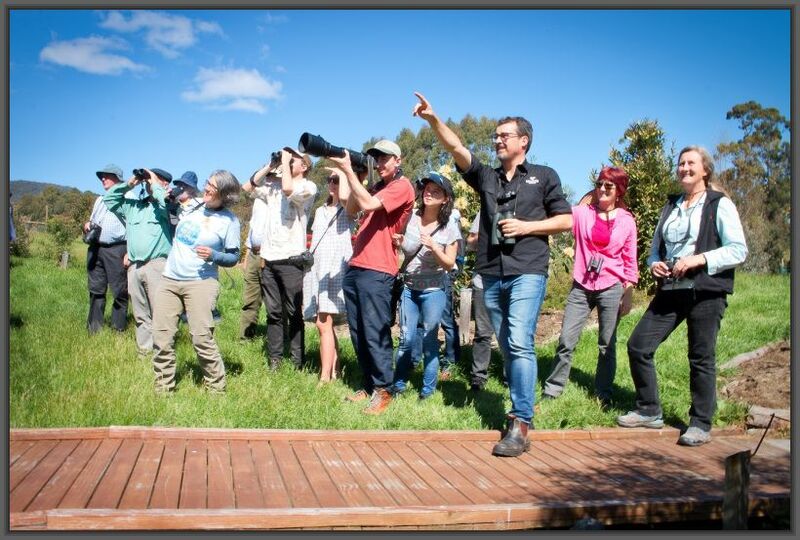 A wonderful opportunity to see some rare and threatened flora and fauna on Inala’s Private Reserve, including the Endangered Tasmanian endemic Forty-spotted Pardalote. Take a guided tour through our 5 acre Jurassic garden. We will tailor the experience to suit your wishes. Note: Bookings are essential and depend on guide availability. 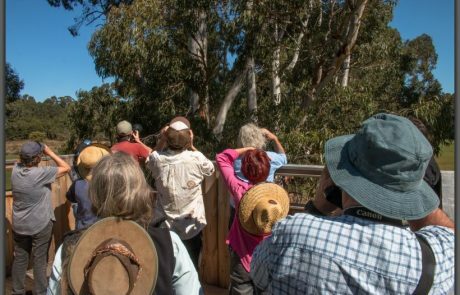 Walk with one of our expert guides around the Inala Private Reserve, a 1,500 acre (625 ha) conservation-covenanted Land for Wildlife property, which is home to a variety of threatened species and all 12 Tasmanian endemic birds. 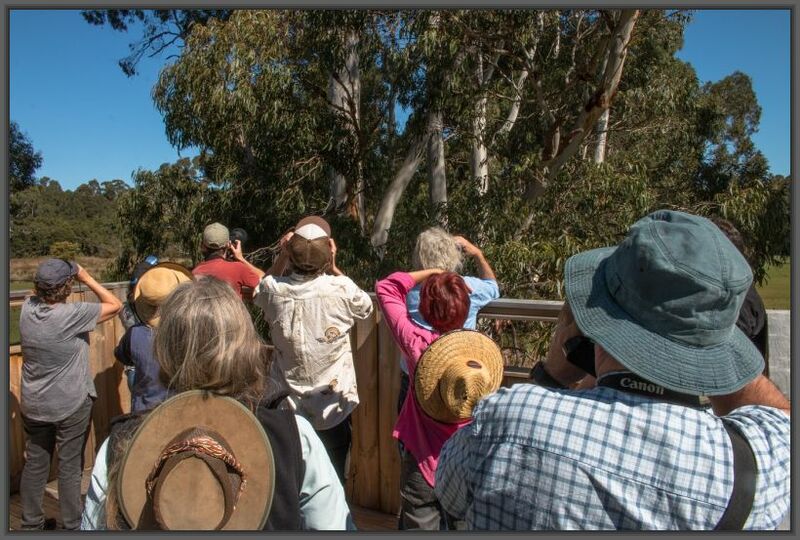 Observe at close range the endangered Tasmanian endemic Forty-spotted Pardalote from the purpose-built elevated canopy platform within one of its largest known colonies. View raptors such as the Tasmanian subspecies of the Wedge-tailed Eagle and the white morph of the Grey Goshawk from the raptor hide. Endemics including the Tasmanian Thornbill, Tasmanian Scrubwren, Dusky Robin, Green Rosella, and all four endemic honeyeaters are also commonly seen here. There is also a good chance of spotting critically endangered Swift Parrots which breed on the property between September and February, as well as Flame, Scarlet and Pink Robins and Beautiful Firetails. Learn about the ecosystem in which these birds live, and conservation efforts to protect these species and their habitats. 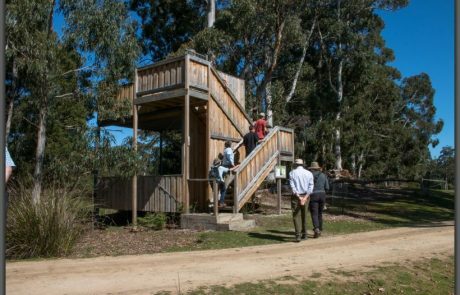 The property is also a great place to see the uncommon white morph of the Red-necked Wallaby, enormous eucalypt trees and tree-ferns, a magnificent stand of Blackwood trees, and some native terrestrial orchids that mostly flower between August and March. 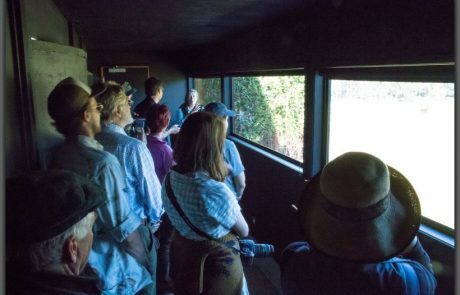 The property tour also includes a guided tour of the 5 acre Jurassic Garden, which contains over 500 species and subspecies of well-labelled plants that have been thoughtfully planted in family groups, making it easy to compare and contrast how these living remnants of the ancient supercontinent Gondwana have survived across a diverse array of environmental conditions after the continents drifted apart.